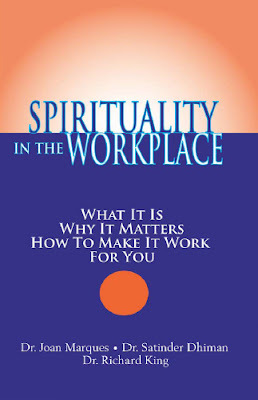 Doing away with the misconception that a spiritual workplace is a religious workplace, this argument in favor of spiritual workplaces explains how the quality of life of workers is enhanced by such spaces. A more effective and efficient way of getting the job done with an immediately positive impact on the bottom line is promised to those who commit to workplace spiritual fulfillment for all stakeholders: employees, owners, customers, suppliers, competitors, and even society as a whole. 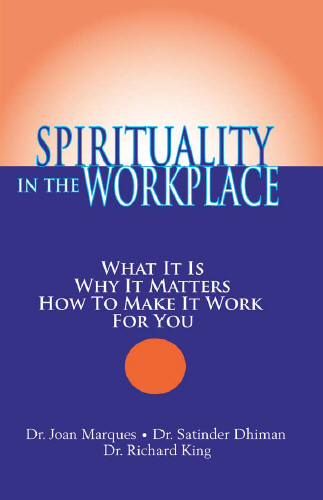 Readers are introduced to prominent thinkers in the field of workplace spirituality and their theories, publications written on the topic are extensively reviewed, and each page is highlighted with a boxed catchphrase for easy comprehension of the page's material. Suggestions are offered for both personal and organizational contributions to a spiritual work environment.